Sydney’s Alwyn Rehabilitation Hospital is a rare institution in health care – a family owned business. The hospital recently celebrated 60 years of serving the community, with CEO and director of clinical services, John Franta, reflecting on Alwyn’s history. “In 1958, Alice Donnelly was working as a nurse at a nearby hospital,” he said. “With some encouragement from doctors and financial help from her sister, she bought a house on a corner block. Originally the hospital focused on the care of patients with ongoing medical conditions and those needing convalescence after surgery. In 1970, Alice’s son Walter took over the management of the hospital. “At that time there were six other hospitals within the area providing similar services,” Mr Franta said. “Walter became chairman of the Private Hospitals Association of NSW Medical Hospital Committee, a post he held for several years. In 1984, the hospital was granted a Rehabilitation License from the Department of Health and became known as Alwyn Rehabilitation Hospital. The hospital now offers orthopaedic and neurological care, reconditioning, physiotherapy, speech pathology and a pharmacy. Patients can also take part in hydrotherapy or consult with a social worker, psychologist, dietician or occupational therapist. The hospital prides itself on taking a holistic approach to patient care. “In 1998, Walter Donnelly retired after nearly 30 years at the helm,” Mr Franta said. Alwyn Rehabilitation Hospital celebrated its 60 years of service with a special lunch. 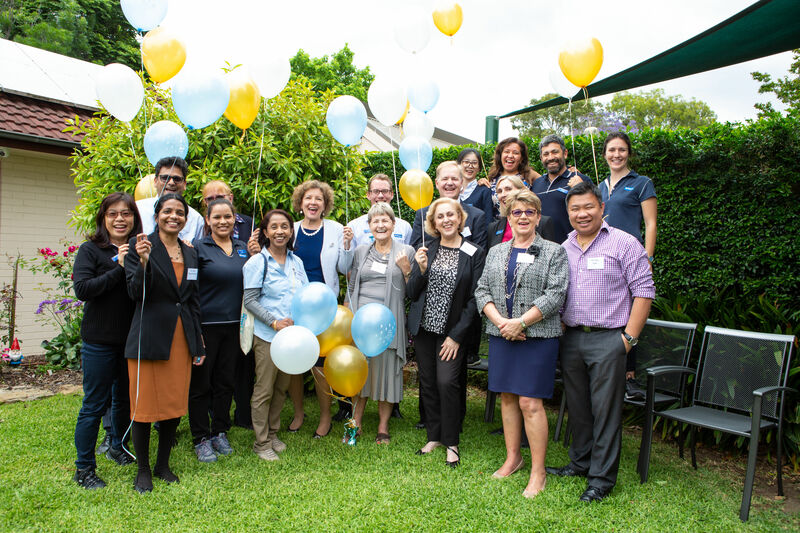 Guests included Member for Strathfield Jodi McKay, Burwood mayor John Faker, GP’s and surgeons past and present, as well as staff from referring hospitals, previous staff and patients and family and friends. The hospital remains a family owned business, and is currently in its third generation of family management.